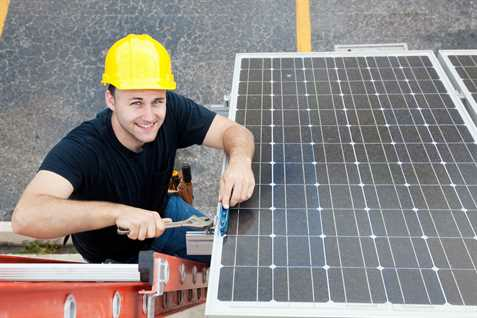 Have you considered installing solar panels for a house or residential buildings? If you have thought of that but maybe thinking if it is a good choice, learn more about solar panels and its benefits in this article. In today’s world, we need electricity to keep moving on our day-to-day lifestyle. We use electricity to cook food and eat, drink, to sleep comfortably with air conditioners, to communicate with friends, relatives, and colleagues in the business field through our electronic communication gadgets, and for many other important purposes. Having said this, we cannot deny how much the electricity can be so important to us. On the other hand, we also pay for the convenience electric power provides. Moreover, the source of electricity may come from coal or fuel, and these natural resources may run out from being regularly consumed by us. Fortunately, technology has helped us prevent damaging the environment while still being able to use electronic appliances and devices. This is through solar energy, where we generate electricity from sunlight through a set of equipment called solar panels. Saves Money on Electricity Bills: Using green energy to power your home is an investment which, in the long run, can give you higher returns by saving you money from the monthly electricity bills. With enough solar panels installed in your house, you don’t need to depend on the energy provider in your area to power your house. You already have your own equipment at home which can generate electricity, which means you won’t be paying any more for the monthly bills. Can Be Used During Emergencies: When you generate electricity from sunlight using the solar panels installed on your roof, the power that has been produced doesn’t need to be used up right away. You can store it in a powerhouse which you can use to make your electronic devices function even without the sun. Moreover, during emergency situations when there is power interruption in your area, you can still be able to turn on your appliances because of the stored energy you got from the panel. Unlimited Source Of Natural Energy: Solar panels for a house and residential buildings absorb the light energy from the sun and convert this energy into electric energy to provide electricity to homes, commercial establishments, and other types of buildings. Having the sun as the source of this energy, you get an unlimited source which you know will never run out. Environmentally Friendly: Solar energy is green energy. Unlike fuel or coal, it is renewable and does not need to take time to regenerate from the earth. Thus, it doesn’t contribute damage to the environment. Using green and renewable energy from the sun to light up our homes, we can help in contributing something to lessen the damage we inflict to the environment, making it a better place to live especially for the next generation. Help contribute to the wellness of society by using environmentally friendly ways for living. 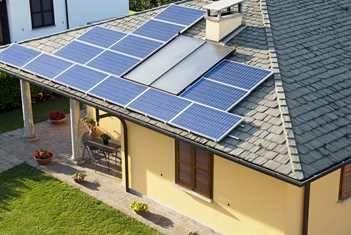 Use green energy to power your home, and install an adequate amount of solar panels on your roofing system.